This wicker rattan framed sectional sofa will make a terrific addition to your home or cottage with its casual, beach-like feel. 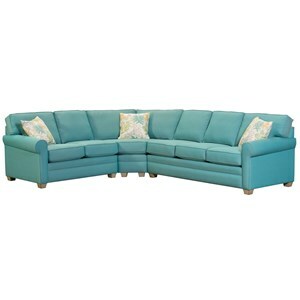 The plush box seat cushions and seat back cushions are encased in matching welt cord trim, and three square accent pillows add extra pops of color, texture and comfort to the piece. 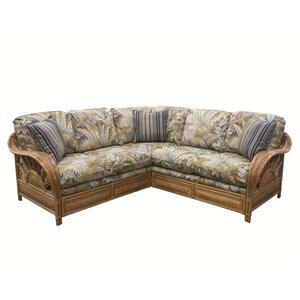 The wicker frame features a rattan design that adds elegance and charm to the sectional. 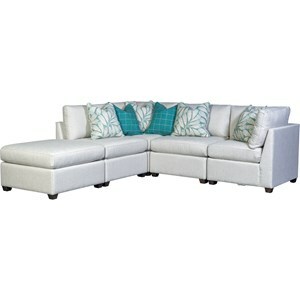 Pair with the coordinating chair, ottoman and occasional tables for a lovely room setting. 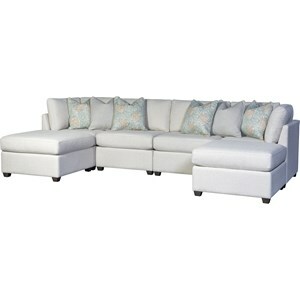 The 321 Collection Wicker Rattan Framed Sectional Sofa by Capris Furniture at Howell Furniture in the Beaumont, Port Arthur, Lake Charles, Texas, Louisiana area. Product availability may vary. Contact us for the most current availability on this product. 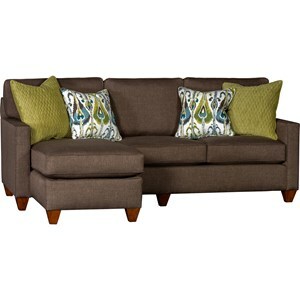 LD321-1 Left Arm Facing Loveseat 1 54" 36"
SD321-2 Right Arm Facing Corner Sofa 1 89" 36"
Fabric Content While all of our styles are made for a casual lifestyle, none should be left out in the rain. To keep them looking their very best and to protect their finish, wipe occasionally with a damp cloth. A soft brush or the brush attachment of a vacuum cleaner may be used to remove any dust that may accumulate. Wood & Finish Available in three finishes: Whitewash, Natural-Clear and Tropic Natural. Frame Construction Rattan is a vine that grows in the mountain regions of Asia and the Philippines. It grows horizontally, like ivy, but is a solid timer, not hollow as is bamboo. Every corner is wrapped with leather wrapping which adds incredible strength and durability as well as unique designs. 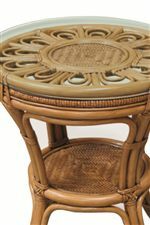 Although rattan is as strong as wood for furniture making, it is much lighter in weight and will withstand tough, daily usage. The 321 Collection is a trendsetter of rattan and wicker furniture. The use of wicker and rattan furniture in home furnishings is not new, it dates back to the 1850's in Asia and the Philippines. Rattan and wicker has come a long way since the 1850's providing us now with innovative and unique designs with combinations of wood, metal, leather and various other natural materials. Rattan and wicker is perfect for any room in the home whether it's a beautiful screened in sunroom or a reading or sitting area in a bedroom there is something truly spectacular about a piece of raw material in the room. 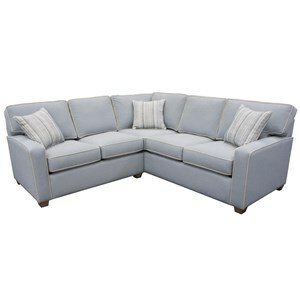 Rattan and wicker can be casual and comfortable as well as elegant and sophisticated depending on your fabric selection. 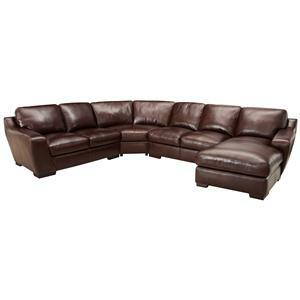 The 321 Collection collection is a great option if you are looking for Casual furniture in the Beaumont, Port Arthur, Lake Charles, Texas, Louisiana area. 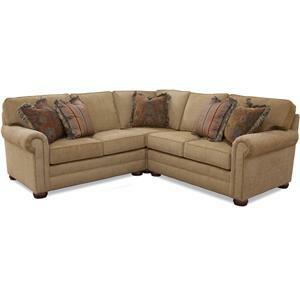 Browse other items in the 321 Collection collection from Howell Furniture in the Beaumont, Port Arthur, Lake Charles, Texas, Louisiana area.